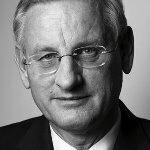 Carl Bildt was Minister for Foreign Affairs from 2006 to 2014 and Prime Minister of Sweden from 1991-1994. He was European Union envoy to ex-Yugoslavia from 1995-1997. He became Special Envoy for the Balkans and Chairman of Sweden’s opposition party, the Moderate Party. With the issue of a ‘Greater Europe’ being a topic of intense debate, thanks to the proposed expansion of the EU and of NATO in Europe, Carl Bildt’s vast experiences in East and West enable him to comment authoritatively on the Europe of the future. 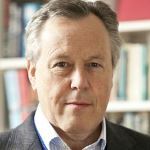 With his unchallenged leadership and negotiation skills in highly adverse situations, he offers a privileged insight to those who want to place their business advantageously for the future. In 1991 Carl Bildt was elected Prime Minister and formed a government in coalition with three other non-socialist parties. He held the position until 1994 when became the Leader of the Opposition, a position he holds today. In June 1995, Carl Bildt became the European Union’s Special Representative for former Yugoslavia and Co-chairman of the International Conference on the former Yugoslavia. In December at the Peace Implementation Conference he was appointed High Representative by the international community, with responsibility for the implementation of the civilian parts of the Agreement for Peace in Bosnia and Herzegovina, a position which he stepped down from in 1997. Carl Bildt was elected a Member of Parliament in 1979. 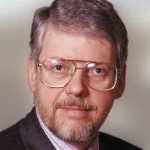 Since 1981 he has been a member of the Executive Committee of the Moderate Party. 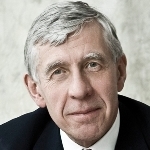 He was also a Member of the Parliamentary Standing Committee on Foreign Affairs from 1982 to 1986, and has been a member of the Royal Advisory Council on Foreign Affairs since 1982. In 1986 he became the Chairman of the Moderate Party, a post he still holds today. Carl Bildt is a very informative and charismatic keynote speaker. With keen observations that reflect his dedication to the process of political and economic integration in Europe, he shows the qualities necessary for any business to prosper in the ‘Greater Europe’.